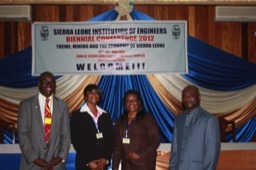 In response to an invitation from the Sierra Leone Institution of Engineer’s to attend its biennial Conference in June 2012 on Mining and the Economy of Sierra Leone, 2 papers were prepared by RoTAP members and peer-reviewed. 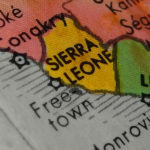 The papers were on Sustainable Practices in Sierra Leone’s Mining Sector and the impact of Freight on the Transport Infrastructure. These papers were presented to the conference by RoTAP members Laurence Pratt, Mariama Whitmore and Modupe Williams.